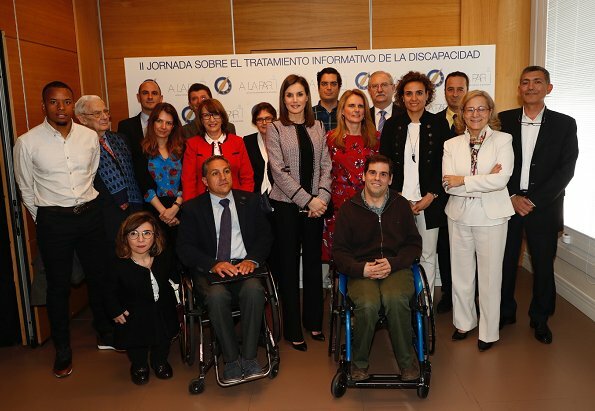 On April 5, 2018, Spanish Queen Letizia attended a seminar called "2nd Informative Treatment of Disability in Social Networks", held at Headquarters of The Spanish Medical Colleges Organization. The seminar aims to improve the psychosocial support given to disabled people by means of social networks. 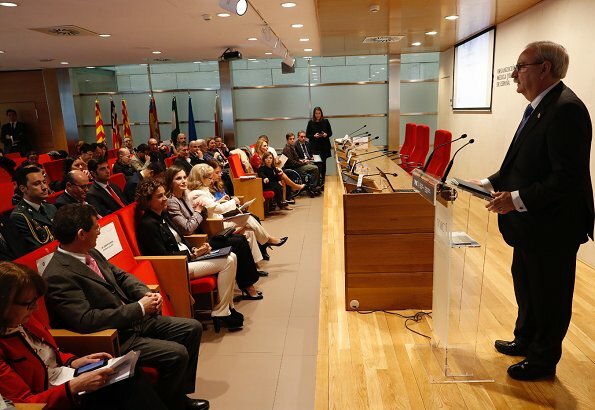 The Spanish Medical Colleges Organization (Organización Médical Colegial or OMC) is a Spanish organization and its purpose is to regulate the medical profession in Spain. I cant see her the same way I used to after I saw the video of the clash between her and Queen Sophia . I think Letizia is a cold and calculatrice woman. She is not well educated and she thinks she is above all. Dear, if you don't like the monarchy just divorce . Or is it a big loss to lose the botox and injections money and the high end luxury clothes and jewels? And terrible harm for Monarchy. At the ene of this act, in the street, Queen Letizia has been booed. Queen Sofía is highly respected un Spain. She didn't do anything wrong. It was Leonore who pusht the hands away. How can you write a comment like that if you don't know what really happened between her and Sofia? As Zucchina said, that video doesn't show what a lot a lot of people are all too eager to claim. It looks like the princess was a bit fed up and did the hand pushing, not her mother. A lot of haters have come out of the woodwork. Much ado about nothing in the church, but I never liked Letizia, I also think she's an upstart who gives herself airs. I much prefer Sophia. Maybe it's the other way round - Sofia is "cold and calculatrice"? Snick, hablan porque es gratis insultar y porque la gente es tan borrega para creer lo que otros ladran sin saber ni analizar nada. Letizia no hace nada malo, pero es la culpable de todo, hasta de la muerte de Kennedy. Ha sido así desde el día que entró en la SRF. hi, Sarah, I think, no one knows, what happened. No one knows if Letizia did something bad to Sofia or if Sofia did something bad to Letizia or the girls. Sadly, I feel exactly the same. Letizia must learn to control her feelings in public and teach her daughters likewise. As many have commented in Spain and throughout Europe, Sofia is indeed royal. She was brought up and has lived her life behaving as a Queen. Even in difficult times with her husband, she never lost her composure. As far as Letizia, clothes don’t make a Queen. Exactly, PatriciaApril 5, 2018 at 11:17 PM - Personally, I have never liked Letizia. She loves to be the center of attention, and always flipping and fiddling with her hair. Then she took the girls with her, walking out of the church first, leaving the "real" royals behind, Juan Carlos shrugging his shoulders. No matter what, Felipe is not amused. Nothing to do with whatever was said in the church, she simply has never appealed to me. There is no "real" royal. Royalty has nothing to do with blood or genes or whatever. Royalty is a cultural concept and nothing but. Nations can change from monarchy to republic. Times change. As for old queen Sofia: in her times it might have been important to "never lose composure". But the role of women changes and so does the role of monarchy. Who knows, how long there will be monarchy at all? And I am sure that especially the younger citizens will not pay taxes for a royal robot whose main goal is to "never lose composure". Leitzia has done nothing wrong. What really surprised me were extremely inappropriate comments of Marie Chantal of Greece. A mí no me sorprende. La Princesa Duty Free y su cuñada Alexia son íntimas amigas de Cristina y Urdangarín. Todo esto ha sido perfectamente orquestado. ¿Por qué salió el vídeo 48 horas después de Pascua, justo cuando Cristina aparece en Madrid y su marido a punto de entrar en la cárcel? Marina Nevskaya: Da,pravda! You are absolutely right about Mrs. Miller. A discreet look after the scandal. El escándalo está solamente en los ojos del que quiere verlo. Es una tormenta en un vaso de agua, pero bien orquestado por la vieja guardia para lavar a otros. Lamentablemente, la escena del domingo es la comidilla nacional y parece ser que de parte del extranjero. Ojalá fuera una tormenta en un vaso de agua. Lo siento por Letizia. 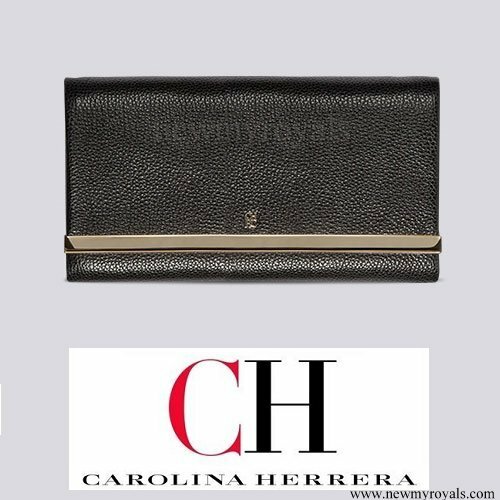 La reina de España no puede permitirse el mínimo desliz y a Letizia le ha traicionado su carácter. A smart outfit for this event. She looks good. Shame all the chatter going on about "Photogate" is detracting from the good cause being supported here. Franny, a la prensa escandalosa no le interesa el trabajo de la Reina ni las importantes causas que ella patrocina, eso no vende revistas. De lo único que se preocupan es de sus tacones, su peinado, su ropa y de criticarla ferozmente con motivo o sin él. No todos los que hablan del espectáculo del domingo son prensa escandalosa. El asunto ha llegado estar en primeras páginas de los principales periódicos de este país. Asi sea un mal dia. Leticia no debe ventilar la mala relacion con su suegra. Ella mas que nadie sabe que esta en el ojo publico en todo momento. Ademas ese actuar saliendo de un acto regilioso??? faltal. Las niñas por muy preparadas que esten para el publico parecen demasiado timidas y creo que es influenciadas por la reina Leticia. Si quiere hijas normales que las deje actuar. Es mi opinion. Vaya, eso es gracioso. ¿Quien debe influenciar a unas hijas, su madre o los tíos ladrones? A mí me parece que Letizia es la mejor influencia que las chicas pueden tener junto con su padre, por supuesto. Mothers in law, is very often a problem, but daughters in law also, so who is the problem????? Well it happened to the Queen Mother and the Queen in a very well documented and freely accessed media that's what's the problem is. when I watched the video, it looked like Letizia was messing with Leonor's hair and she was pushing her mother's hand away to stop her and happened to hit Sophia's hand away also. I think at her age she doesn't want people fussing over her. When I watched the video, it looked like Letizia was messing with Leonor's hair and she was pushing her mother's hand away to stop her and happened to hit Sophia's hand away also. I think at her age she doesn't want people fussing over her. Poor Felipe, 4 women to attend to. Queen Letizia looks chic as always, working as usual. I like her classy outfit. Probably a tough day for her. This is not a happy smile. I am sure she deeply regrets her outburstand loss of contenance in front of the public and had a sleepless night. She never had a'n "easy position", arriving as a non-royal, emancipated and divorced woman to the traditional spanish court to succeed a real royal Queen.- For me it was just a sign of a teenager who had enough of posing with her very! determined Granny. Queen Sophia had the girls really quite strong in her arms for a "show-of". Letizia just maybe wanted to help her child, saying: "Let's have a photo outside and all together...". Nethertheless, unhappy circumstances: The former Queen, Letizia, the child, the other child still brave smiling, the poor husband in between and a completely perplex former Monarch looking on. Happy Easter. It seems that Sofia positions herself between the children as they are leaving and greeting the people. She looks at the photog and either nods or says something then quickly grabs the girls on either side to pose. Letizia crosses over to shake someone's hand and gets in the way of the photo,then realizes what Sofia is doing. She stands closer and says something. Sofia becomes belligerent and drags the kids to one side still being rude. They were going to do a pose outside as in previous years, but Sofia seems desperate to get this picture! She did not ask the parents or the children for permission. SHE owes Letizia an apology even though it was bad behavior to argue in public by both of them. If the Mom or Dad says no it means no. They are not her children. At least one good comment. I saw video. Princess Sofia was talking to somebody in the crowd when her grand mother grabs her by her shoulder and drags her close to herself in order to do a photo. You can see the surprise in the girls face. Than Letizia comes over the person whose interaction with Princess was interupted, shakes the hand maybe saying "sorry". And Queen Sofia drags the girls around like rug dolls. That is rude and unacceptable IMO. They are not little girls anymore. In this case I felt sorry for Letizia. She is living in hell. Sofia owes Letizia an apology for creating this situation. It seems she positioned herself between the kids as they are leaving and greeting the people. When they get close to the photog. she grabs the girls on either side and begins to pose. Letizia seeing that a lady was left with her hand out crosses in front of them to make amends. That ruins Sofia's picture so she drags the girls to one side so the photog. can still get a shot. Letizia follows the movement still blocking the shot and Sofia becomes belligerent and defiant. Why is Sofia so desperate to get that picture? The were going to take pictures outside anyway. Be respectful and ask permission. If the parents say no, that is final. I fully agree with you, Queen Sofia should have never forced the situation, notwithstanding that Letizia after all these years should realize that her behavior must be impeccable and her temper needs to be curved. People defends the former queen by saying the she has never had a bad moment on her public life, not true, for starters she lived on an era without cell phones filming every gesture, and then cherry picking the worst images in order to cause scandal, trolls in social media insulting and creating rumors and conspiracy theories, and the Royal House, which for years was able to gag the press and kill many stories. People seem to forget the famous interview on which Sofia made the most inappropriate statements, in those days some spaniards even burned her pictures. The carnage against Letizia is shameful. she has been fighting the disapproval of the sisters, mother in law, father in law, extended family, elitist friends, the Spanish left, the old monarchists and the yellow press. She is far from perfect, but her work ethic and dedication is irrefutable. Sorry for continuing with my diatribe, but let's not forget that the main bone of contention it's not the pictures or the grandchildren, but the obsessive campaign from Sofia in favor of Cristina, lobbying to have her publicly forgiven and reincorporated into the Royal Family, it looks like Felipe is not ready to do this, and Letizia supports him fully. 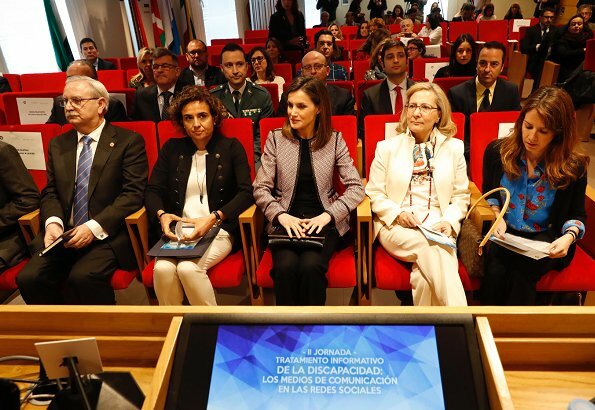 Marie Chantal's public shaming of the Spanish queen, is an aberration, she should not be instigating and taking part on this issue, regardless if her support for Cristina (once again). I can't imagine a member of the British Family, insulting Queen Elizabeth during the sad episode after Diana's death, or have we forgotten how the people and press treated her? You made some good observations Marigold B, I saw the same things. There is something behind that scene. This is not simply 'A loving grandmother, who wants a photo with her beloved grandchildren'.....if you look at the face of Sofia. How determined she is to get this photo...how she grabbed the children round their necks.....she was in direct eye contact with somebody out there. I think there was a deal with someone of the Yellow Press that they would get the pictures. And then Letizia turned up and photobombed it all....It is funny if you look at it this way. But in fact it is sad that grown up people act this way. It is time that Sofia understands her time is over. That type of monarchy she stood for is over. She did harm to the work of King Felipe and Queen Letizia in a second for nothing but selfish reasons. I agree. The Greeks held a vote in 1974 and established a Republic. The claimant or pretender princess of Greece who dropped out of college is attacking a college educated reigning Queen. Jealousy, the green eyed monster. It is not easy to grow old, but Sofia did not show wisdom and there is video feedback that she can review in private and learn. I like the outfit Letizia is wearing. And just to add my 2 cents to the "drama" I think it's much ado about nothing. I am in team Letizia, her mother in law was being pushy grabbing the kids and wanting a picture inside the church rather than outside as usual with all the family. kleindochters, ik ben er ook gek op , gelukkig zou me dochter nooit zo doen ,en ik vind voor haar man ook erg ! !het is een vrouw die weinig liefde uit straalt !!! Le roi Juan Carlos et la Reine Sofia ont passé la main... mais ils sont toujours là s'accrochant comme une bernique à son rocher. Ne peuvent ils laisser le couple régnant prendre les rennes en paix et s'effacer comme l'ont fait Albert et Paola ou encore la reine des Pays Bas? Je suppose que j'aurais beaucoup de mal à supporter la présence de ma belle mère à la moindre occasion. Laetitia à peut être des raisons d'être agacée... même si j'en conviens elle aurait pu régler ça en privé.